Polished sterling silver and a cream dial are paired to deliver contemporary elegance with this sleek ladies' Galactic 36 Sleek bracelet watch. 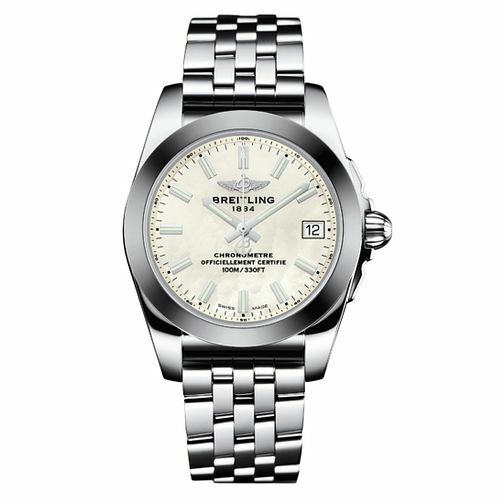 Water resistant to 100m, this timepiece also offers an ultra-hard scratch-resistant tungsten carbide bezel. The perfect combination of high-performance technology and sophisticated aesthetics.